As promised, following on from last week’s blog “Snowboarding for the First Time” this weeks blog is all about skiing for the first time. The beauty about skiing is that right from the get-go, you have poles in each hand to aid your balance. Sure you have these long slippery things attached to your feet, but before you know it they will just feel like they are a part of you! 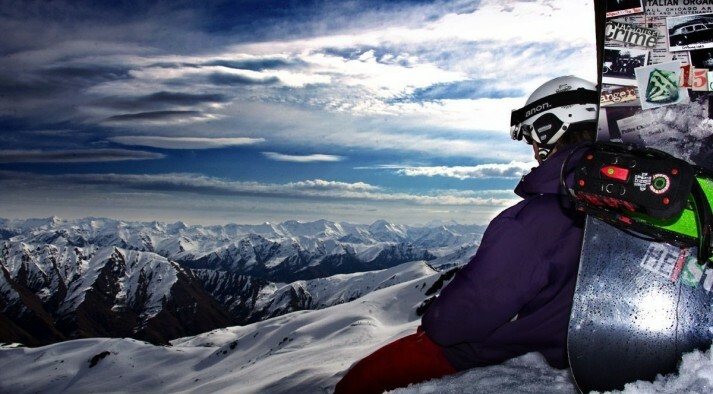 Learning something new is a great feat – and skiing is definitely that ‘thing’ to choose. For first time skiers we always recommended that they take lessons. Ski instructors have worked for years to fine-tune the absolute best progression, and ways of teaching people how to ski. These guys teach as a profession, and I can tell you they are darn good at it too! It’s hands down the fastest way to move forward in terms of your skills and ability on skis. Also if you are feeling a little nervous at all, they are the ones to help you relax - actually learning how to stop is one of the first things you will learn. And no doubt, having this skill up your sleeve will beef up your confidence! Your first lesson begins on the flats, so there is NO chance of you sliding away! 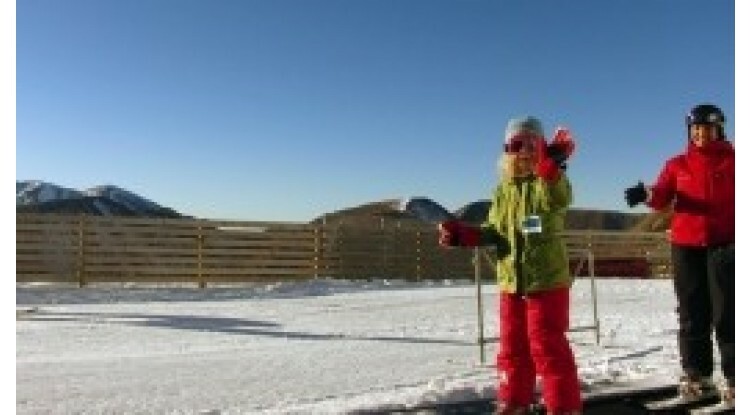 You will be taught a variety tasks on the flat, and this will help you feel more comfortable on your skis. Once everyone feels ready the instructor will move on to some sliding and stopping tasks again on the flats and afterwards, on a very gentle slope. 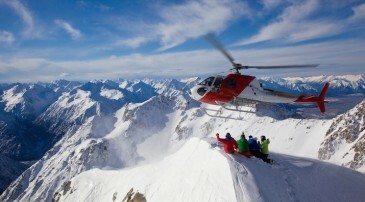 You will be amazed how quickly the human body is able to adapt to skiing. Before you know it you will be eyeing up the magic carpet, which is a conveyer belt type travelator similar to the ones found in malls and airports. This ski one however is non-slip and takes you up a gentle slope. All learner slopes fade out to flat ground, so you will always end up coming to a stop. The magic carpet is much more fun than the flats, and there are continual skills to be learned here. Your instructor will take you through them when you are ready. Learning the skills to turn is the big one, and once you have got to this point you can confidently claim that you are skiing! A much deserved delicious lunch will refuel you for your afternoon. This is where you can either practice the skills learned in the morning, or take another lesson to continue moving forward. Next you will be eyeing up that chair lift! And I can tell you, the feeling you get from not only being at the top of a mighty mountain, but the feeling as you ski down is like nothing else – you just can’t replicate it, it’s incredible! The scenery is magnificent and the feeling of freedom is immense. But the ski day is not over when the lifts stop, it’s on to Après ski– mulled wine or maybe a cool refreshing beer. Throw in some nibbles nuts, crackers, cheese and share stories about your incredible ski day and make plans for the next day. You’re now a skier!!! 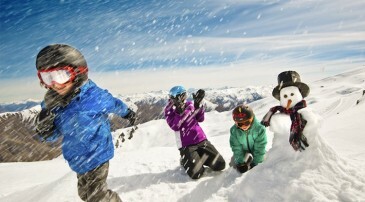 Note: If planning to travel with us – NZ Snow Tours, the Wanaka Adventure is a great trip for the beginner skier or snowboarder. 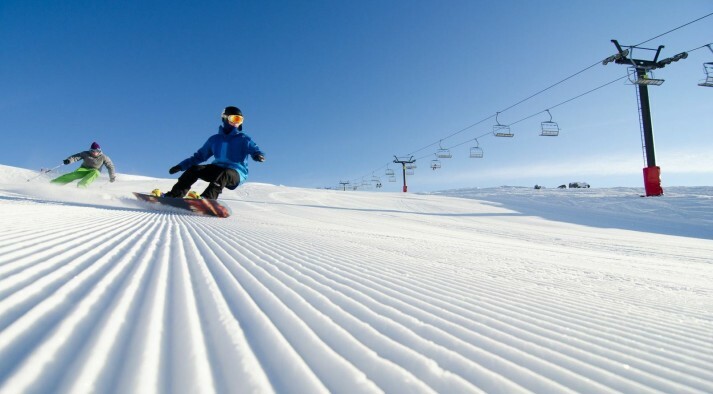 It offers excellent learning terrain at the same time as offering a variety of intermediate, and challenging terrain if you are traveling with friends who have already boarded or skied before. It’s also super easy, as we organise everything for you!